MineTweaker 3 Mod, which is a Minecraft Forge mod, makes crafting recipes, furnace recipes, mod recipes, item names, ore dictionary contents able of being added and removed. Configurations are written as scripts, with MineTweaker offering a simple custom scripting language specialized for this kind of customization. 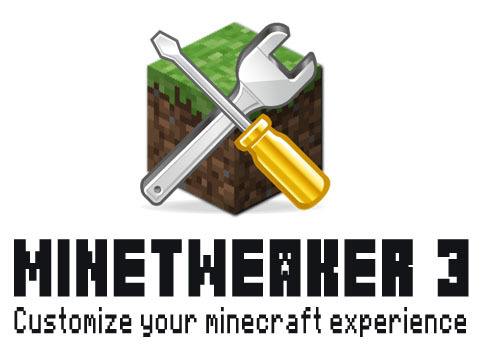 MineTweaker is always configured from the server that players connect to (in single-player instances, the server is your own Minecraft instance). For server owners, this means that they do not have to distribute their minetweaker scripts: they only need to be stored on the server and will be transferred to the client automatically upon connection. Servers can thus change their configuration without having to distribute new files. In fact, even a server restart isn’t needed ? scripts can be reloaded in-game and all connected players will automatically receive the new scripts and have their configuration adjusted accordingly. Scripts can even be stored in two places ? there is a global scripting directory that’s applied to every world hosted on that server (mostly useful for defining default behavior in modpacks played in single-player) and a per-world scripting directory. Scripts in the world directory can override global scripts. For map makers, this means they can distribute their own scripts with their map. For modpack builders, this functionality means that it is interesting to include MineTweaker in your modpack even if you don’t have an immediate need for it ? server owners may wish to customize their own instance.